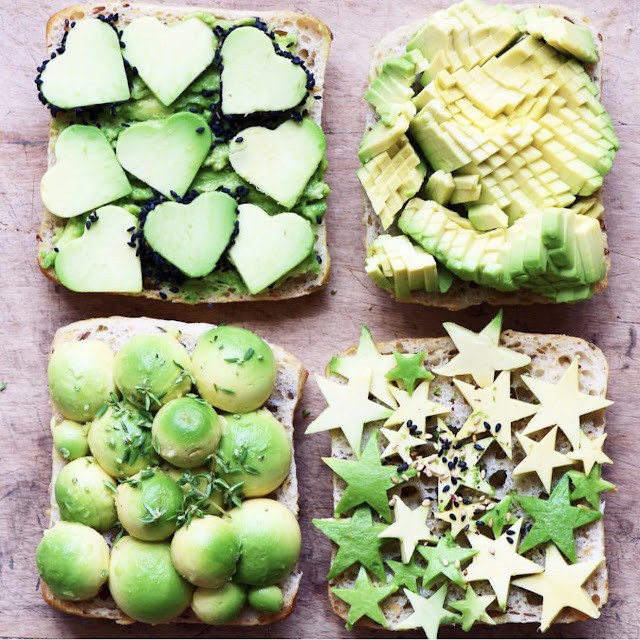 If this isn't #avocadotoastgoals, I don't know what is. Photo via the insanely amazing @alphafoodie. Can you believe we're halfway through July? Summer is going way too fast. And of course, it's a rainy day in New York City today, so it doesn't even feel like summer. (Womp, womp.) Hopefully this weekend will be better! What are you guys up to? We're heading out to our lakehouse with some friends to hang out during the day (follow along on my Instastories! ), and then I've got a lot of work to catch up on in the evenings. (My Saturday nights are lit, you guys.) Whatever you're up to this weekend, I hope it's a great (sunny!) one. Here's some fun links to check out in the meantime. • As I mentioned earlier this week, I've partnered with Grove Collaborative to offer an AWESOME deal of three Mrs. Meyers products (hand soap, lotion, and dish soap) plus a really nice ceramic sink tray for FREE with any $20 purchase. I use Grove to buy all of my cleaning and home products now (they carry really nice, natural stuff and the prices are shockingly good), so I bet you'll become hooked on the site. Or just take the free stuff and run! Ain't no shame in that game. The deal ends THIS SUNDAY July 16th, so hurry! Click here to get the free stuff. • If you've even glanced at a blog in the last 24 hours, you know that the Nordstrom Anniversary Sale is going on right now. I opted not to do a full post on it (#bloggercliche), but there are some pretty awesome deals, so I wanted to feature a couple of my favorites here. I've got my eye on these studded booties (they're under $80! ), this long, slim cardigan (um, how is it only $31?!? ), this blue velvet dress (so unique for date night or even a wedding--and it's $92! ), these super flattering jeans (full disclosure: Amber Fillerup posted about these and said they made your legs look skinny, so now I MUST HAVE THEM), this millennial pink sweater with the prettiest sleeves ever ($45! ), and this stunning Rebecca Taylor floral top paired with this gorgeous brown leather skirt. • I started testing this It Cosmetics Confidence in a Compact foundation last week and I am hooked! I love that it's got really good coverage--my skin looks (relatively!) flawless with it on--and it comes packed with anti-aging ingredients and (hallelujah) SPF 50! • I've also been testing this Bioeffect Volcanic Exfoliator for the past few weeks and I'm really, really into it. It's a very cool formula (a clear gel with tiny specks of black lava rocks floating in it) that's not gritty at all, but still leaves skin super soft. • This was a really fun article to write: For Refinery 29, I talked to past male Bachelorette contestants to find out what kind of beauty and grooming stuff they did to prep for the show. • One more from Refinery 29: I gathered some great beauty products to get you vacation-ready fast. • I can definitely relate to this post: "I'm Not a Crunchy Mom Anymore." • Gender reveals weren't really a thing when I was pregnant, but they sure are now. And I guarantee it's going to be a long time until someone tops this one. • Found four great sandals that are super comfy and cute. • Gave my tips for staying safe while driving. I have been wanting to try Mrs. Meyers products. This is such a great deal!! This is a cool list! I haven't been to a Nordstrom in ages. Maybe I need to go back now!! Oh, no! I didn't know that about boxed mac and cheese. I thought I was doing good by buying organic. Sheesh!